One of the coworkers at lunch ordered a pasta dish, the Gnocchi. 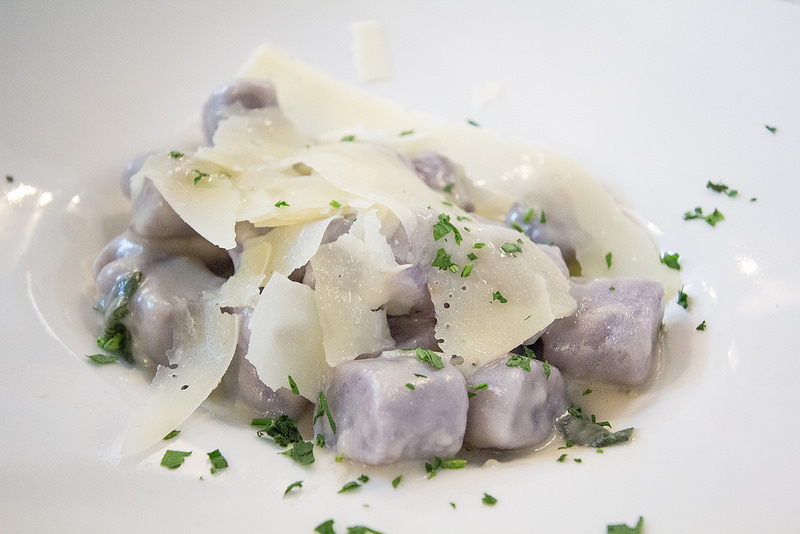 Homemade purple gnocchi, butter, sage, parmigiano, and truffle oil sauce. I tried a gnocco, and immediately tasted purple potato, which is a variation of sweet potato (common in Asia).